Combustion and control systems, mumbai offers parker make solenoid valve and coil for different applications like air solenoid valves and coilsoil solenoid valves and coils. 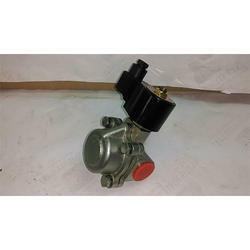 Owing to the vast industry experience and in-depth knowledge of this domain, we are offering a huge collection of high-quality Air Solenoid Valve. Designed for use with air-assisted SCR dosing systems, these valves generate a regulated pressure output irrespective of the input pressure for excellent spray preparation & distribution. Solenoid Valves are electromechanical valves used with Hydraulic oil. Electric currents through the solenoid coil are used to control the valve. 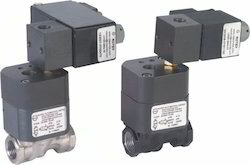 Solenoid valves are used and applied in many areas, providing fast and safe switching, high reliability, durability, compact design and acts as a good medium. The Air Regulator Solenoid Valves are normally closed solenoid valves for cold combustion air regulation (open when energized). This type of device is suitable for high/low control of combustion air in industrial gas burners. Valve Size: 1/2" to 2"
We are a highly acclaimed name in manufacturing and supplying best quality Air Solenoid Valve. These can be availed at highly affordable rates in various specifications.